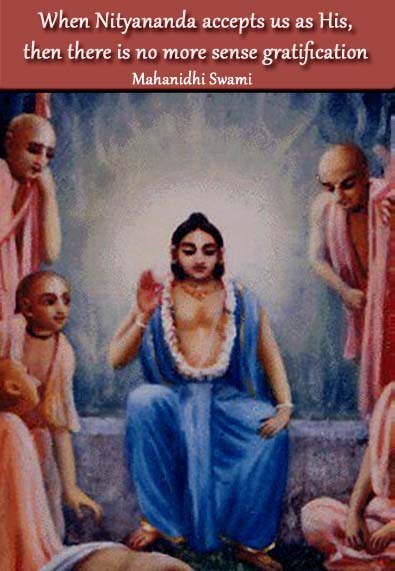 When Nityananda accepts us as His, then there is no more sense gratification. In this Kali-yuga, the demoniac mentality is employed in manufacturing various goods to facilitate the process of sense grantification. 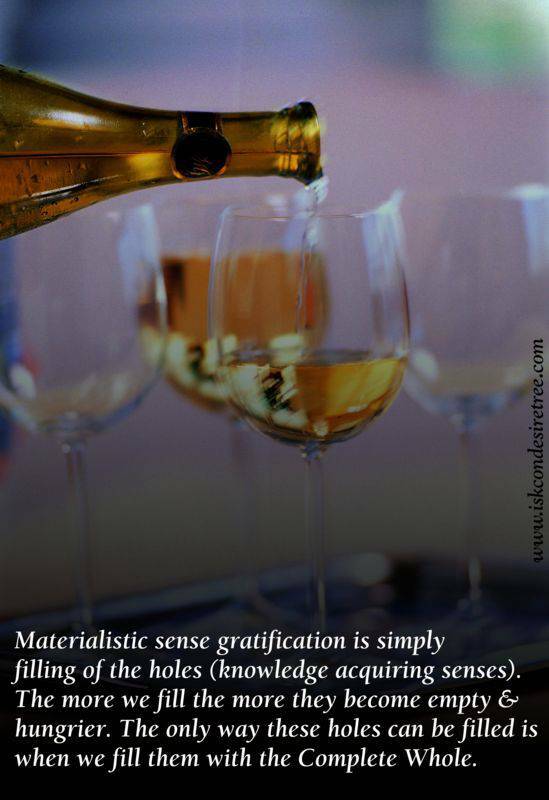 Materialistic sense gratification is simply filling of the holes (Knowledge acquiring senses). The more we fill the more they become empty & hungrier. The only way these holes can be filled is when we fill them with the Complete Whole. 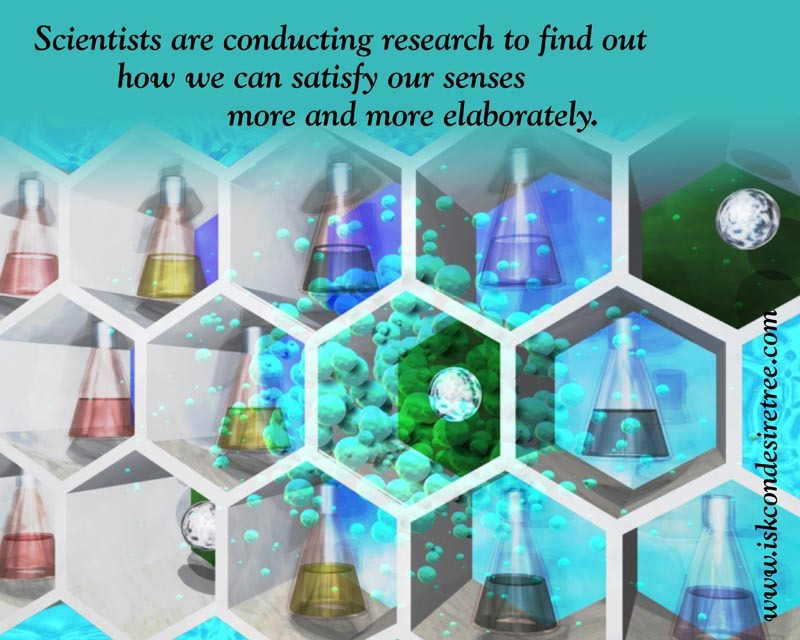 Scientists are conducting research to find out how we can satisfy our senses more and more elaborately.